Terrell Lee Bennett, 30, was scheduled to be arraigned today. WEST COVINA (CNS) – Criminal charges were filed today against a Chino man who allegedly threatened to shoot up Citrus College in Glendora this week, prompting lockdowns at that school and nearby Azusa Pacific University. 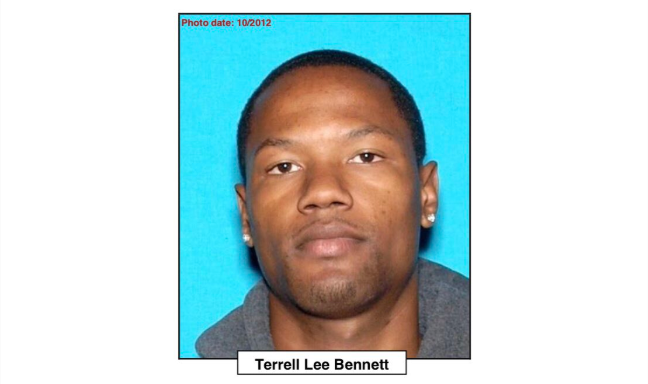 Terrell Lee Bennett, 30, was scheduled to be arraigned today in a West Covina courtroom on one count each of making criminal threats and unlawful possession of ammunition, according to the Los Angeles County District Attorney’s Office. Bennett has remained behind bars since he was arrested Tuesday by Glendora police, according to jail records. Glendora police received a call Tuesday from a male threatening that he was on his way to “shoot up” Citrus College, located at 1000 W. Foothill Blvd., according to the Glendora Police Department. The threat was treated as credible and the college campus and surrounding streets were locked down at 11:28 a.m., according to Glendora police Sgt. Shawna Celello. “Officers, detectives and support personnel began investigating to identify a possible suspect, determine his location and bring the incident to a safe conclusion,” Celello said, adding that the suspect’s vehicle was located in a campus parking lot at 11:39 a.m.
Officials at the college tweeted that the incident was “not a drill” and urged people to stay clear of the campus. Those already on campus were told to turn off lights, lock doors and remain quiet as a room-to-room search was conducted. More than 100 officers assisted in the search, officials said. Azusa Pacific University also was placed on lockdown and university officials urged people on that campus to shelter in place. Bennett “surrendered peacefully and was taken into custody without further incident,” according to Celello, who said Bennett is an online student at Citrus College and was scheduled to have an in-person class that day. The lockdown was subsequently lifted. Based on Bennett’s statements, “suicide-by-cop appears to be a possible motive” behind the alleged threat, Celello said.“Glendora police detectives are looking into Bennett’s additional motives and the investigation is ongoing,” the police sergeant said earlier this week. If convicted as charged, Bennett could face a maximum of 10 years, four months in state prison, according to the District Attorney’s Office.